Guest editors are Mohsen Mostafavi and Gareth Doherty, dean and professor at Harvard Graduate School of Design. In 2014, the book Ecological Urbanism was published in Spanish and Portuguese, followed by conferences in Santiago de Chile and São Paulo. The premise of this book is that an ecological approach is urgently needed as an imaginative and practical method for addressing existing as well as new cities. Ecological Urbanism is based on Félix Guattari’s concept of ecosophy, which articulates “three ecologies” of the environment, social relations, and human subjectivity. The role of economic, social, and political values in shaping the very idea of the environment and, consequently, the environmental design is not new. But bringing human subjectivity to the discussion of both the analysis and the design process implies accepting ambiguities, which are often overlooked in increasingly quantitative, and prescriptive approaches to sustainable design. Ecological Urbanism considers the city with multiple instruments and with a worldview that is fluid in scale and disciplinary focus. Design provides the synthetic key to connect ecology with an urbanism that is not in contradiction with its environment. 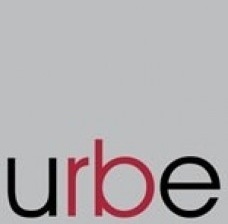 We invite scholars, policy makers, scientists from the natural to the human sciences, and designers, to submit their research papers for this special issue of urbe. This special issue is dedicated to explore the existing and possible implications of Ecological Urbanism, especially considering: (1) Relevance to existing and new cities in Latin America and Caribbean; and, (2) Methods for ecological design and planning. If we are to design, plan, and manage cities in way that are more “ecological,” how do traditional design and planning process need to change? Abstracts (max. 500 words) must be submitted in English to special edition email. Authors will be notified whether or not the abstract was selected for further development. Deadline for full papers, which may be in Portuguese, Spanish and English. A 1,000- word abstract in English is mandatory for all papers. Submissions at site. Deadline for reviewed full papers. Authors will be notified of final selection and necessary minor modifications. January 2016: Ecological Urbanism in Latin America will be published. Full papers will be published in their original language, followed by 1,000-word abstracts in the other two languages. Submission process is through site. For any communication, please, use e-mail.